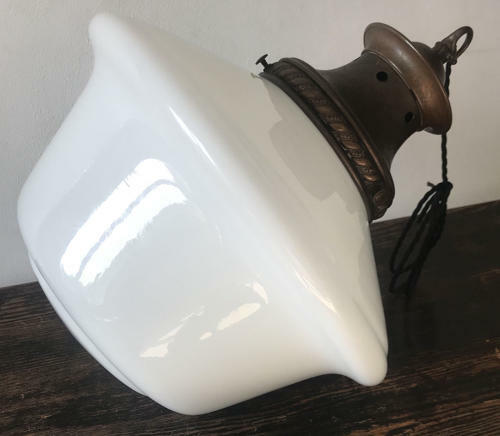 A wonderful antique glass Opaline chapel light. The milk glass has beautiful form with it's original copper gallery. Re-wired with vintage style twisted flex cable. Circa 1920.